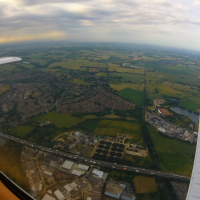 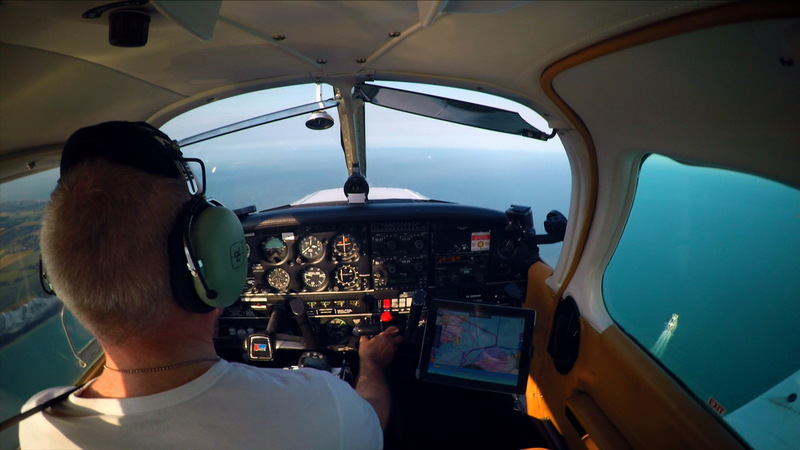 On 2nd July 2015, I took a flight along the M20 in Kent, in order to view “Operation Stack” from the air. 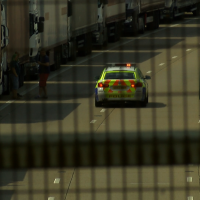 This is a police operation to queue lorries, affected by disruption to cross channel ferry or tunnel services, on Kent’s main motorway, the M20. 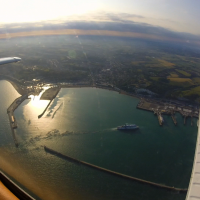 A strike by French ferry workers, lead to the closure of the Port of Calais, and disruption to some channel tunnel train services, which mean freight traffic, wanting to travel between mainland Europe and England was stranded. 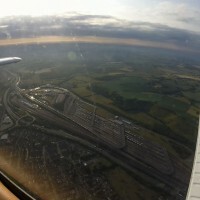 The police closed a very large section of the M20 motorway, so that around 5000 lorries could park. 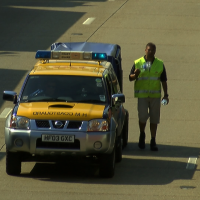 The strike coincided with the UK experiencing its hottest July day on record, and public health officials organised the emergency distribution of water and food to the stranded truck drivers, who were unable to move from the motorway for many hours. 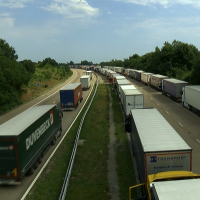 This was the first time, the motorway had to be closed between Maidstone and Folkestone, because of the sheer number of lorries caught up in the disruption.